“Burke Station, Artist's Rendition,” braddockheritage.org/, accessed April 24, 2019, http://braddockheritage.org/items/show/55. 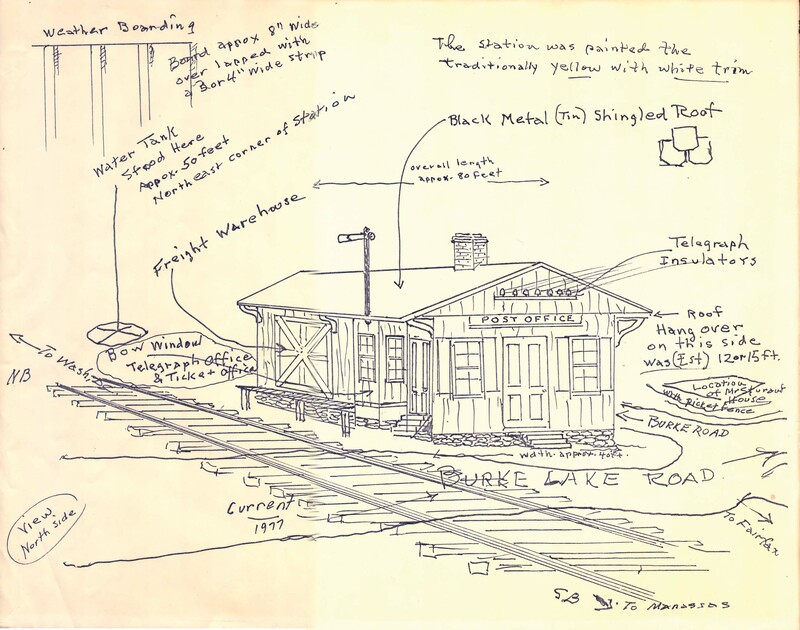 This sketch shows the construction and uses of the original Burke railroad station. The Burke Post Office was housed in one end of the station.